Home♦Children, Church Stories, Kenilworth Union Church, Youth Ministry♦Welcome Christine Hides! 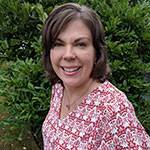 Christine joins our staff this Monday, September 10 and will serve in a newly created full-time position—Director of Christian Education—working with families, especially youth and children 6th grade and younger. She will lead the older chapel, develop new programs, participate in Middle School Youth Group, and deepen faith habits for children and families in our church and preschool. The search committee (Ken Harris, Diana Connolly, Meg Revord, Bev Kirk, and me) found Christine to be creative, thoughtful, energetic, and kind. She has a passion for children and a vision for how God is calling her to help meet children and families where they are (wherever they are, soccer field included). She develops thoughtful (practical, realistic, inviting) ways for families to practice faith together at home or out-and-about in this busy world. I especially like this: Finding God in the Carpool Lane. You can see her passion come to life in her writings posted at BuildFaith.org, GrowChristians.org, and her personal website, ChristineVHides.com. Christine has a combined 10 years of volunteer and professional experience as a Christian educator, holds a master’s degree in education from Northwestern University, has completed Deacon Studies at Garrett Theological Seminary and is on track to become an ordained deacon in the United Methodist Church. The core of my Christian faith is that God’s love for us is so great that we can experience healing and transformation through Jesus Christ, and, by the power of the Holy Spirit, our lives may be a witness to this love. Children’s Ministries is excited to host an ice cream meet-and-greet next week for young families (and anyone else from Kenilworth Union who would like to join us). Meet Christine on Wednesday September 12 between 2 and 3 p.m. at Graeter’s Ice Cream in Hubbard Woods. Reach out and help us welcome Christine by filling her email inbox with a welcome note: (tell her about your favorite Kenilworth Union tradition, send her a family photo and tell her about yourself, let her know what the best place for lunch or coffee or an afternoon walk might be on the North Shore). Invite all the 2nd–6th graders you know to come to our older chapel Sunday mornings starting September 16. May God’s love shine as we continue to be a church of welcome, not just welcoming Christine Hides in this season of “new beginnings” but welcoming all, for God calls us to be a family, a “school of love” where God-with-us is made known. I am excited to begin a meaningful year of growing in faith together with the children and families of Kenilworth Union. I am looking forward to experiencing the many church traditions I have heard about—including playing Catacombs with the 5th/6th grades on Wednesdays. I’ll see you on Homecoming Sunday, September 16! Change is exciting! 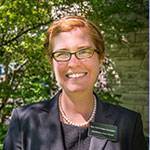 It is with heartfelt anticipation that we welcome Christine into the new role of Director of Christian Education. Having spent eight wonderful years working in my director’s position, I will move into a new role as Associate Director of Children’s Ministries and I consider this shift a great privilege. My new position will allow me to support Christine in our ministry and enable me to concentrate on the work I love most. I will still very much be involved with our families in a number of ways; notably I will continue to lead chapel for our little ones on Sunday mornings, and I will work to strengthen our family outreach programming. Stay tuned!